know about working with them, riding and taking care of them. $5000, with the average in the $2800-$3800 area. 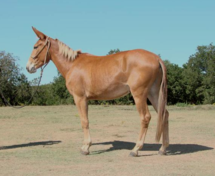 We have some nice home raised young stock that is priced with or without training. 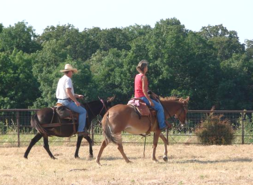 Any of our mules can be priced with a tack package or a clinic package or a training package. Anything is possible and do-able! 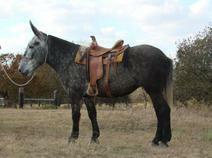 Beautiful Bay Roan Appaloosa Gelding, 14.2 hand, 11 year old mule. 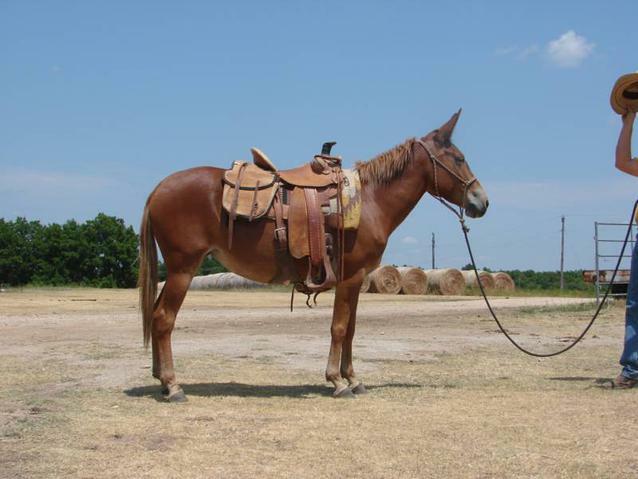 Major is a good minded, solid trail mule, he has a great handle on him, neck rein, stop, back, has been used on the Ranch moving cattle in the pasture, sorting, checking calves. 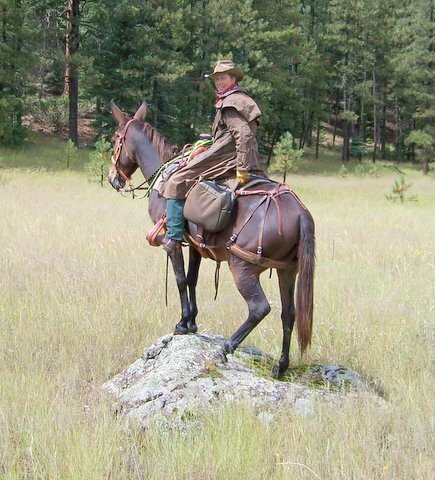 Saddles good, good with his feet and ears, easy to catch and haul, good with dogs, he has a real good ground covering walk, rides off easily by himself. He has been roped on, drags and pulls a dummy and is great at poning young colts. We have been training and competing in the Trail Events and playdays. She rides and drives, stand 15.1 hands, a Percheron cross, so she is built stout. 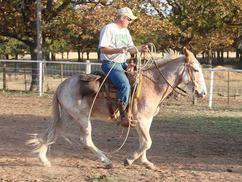 We have been using her on the ranch to check cattle and trail ride. 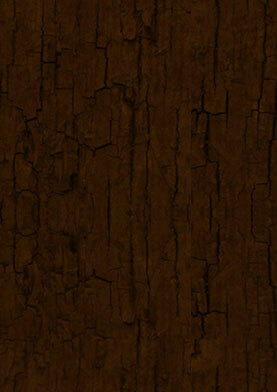 A real sweetheart, with a lot of versatility. 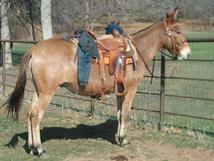 Home Raised Light Dun Gelding Mule, 14.3 hand, 6 year old. Scooter, and out of a Dun Blondies Dude QH mare. 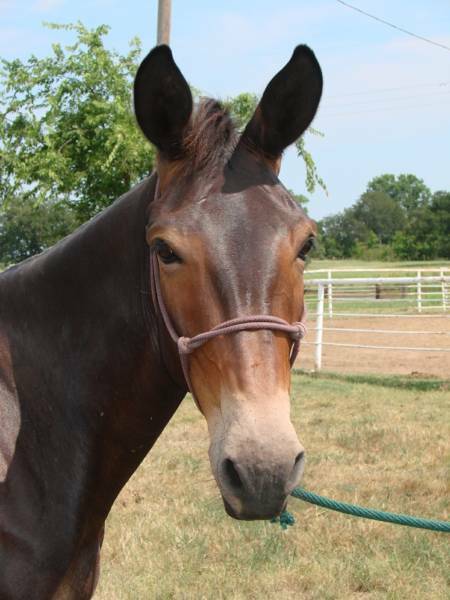 Nice excellent minded young mule, can be priced with training.